Tom and Viv, recently released on Blu-Ray, is a melancholy biopic focussed on the troubled marriage of literary great T.S. 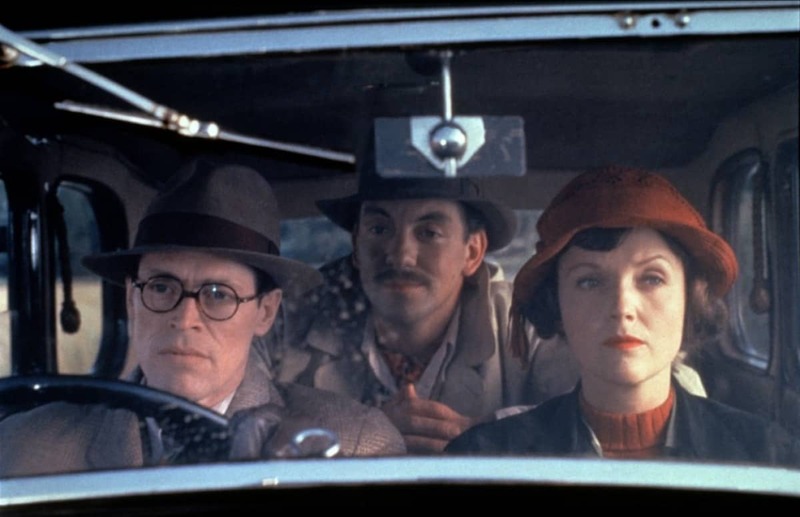 Eliot (Tom) and the eventual incarceration of his wife, Vivienne Haigh-Wood Eliot (Viv). 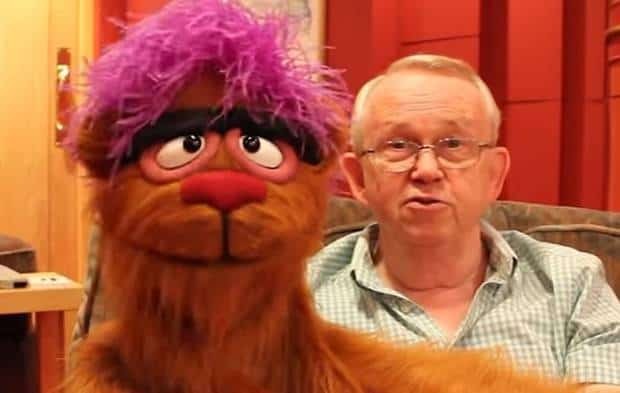 The beginning of the film is dominated by a nostalgic voiceover from Viv’s brother, Morris. 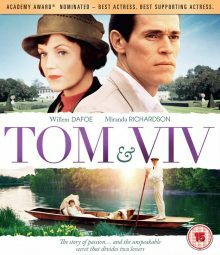 That the marriage of Tom (Willem Dafoe) and Viv (Miranda Richardson) comes to an unhappy end is established quickly and it is heavily implied that Viv is to blame, albeit unintentionally as a result of her ‘women’s troubles’, a ‘shameful family secret’ according to Morris. What exactly is perceived to be shameful about women’s troubles is revealed once Tom and Viv are married. Viv gets headaches and stomach aches she takes medication for, she has drastic mood swings and loses her temper over the slightest provocation, much to the embarrassment of Tom and her family. A doctor explains to Tom that she has no control over her menstrual cycle (she gets ‘the curse’ two or three times a week she sullenly admits to her mother). As the film continues, the affectionate scenes between Tom and Viv, few as they were, lessen and disappear entirely, replaced by those of jealousy, humiliation, loneliness and, indeed, shame. Viv’s behaviour becomes more unpredictable – there is a memorable scene where, angry that she is locked out of her husband’s office (justifiably so in this case), she pours a large saucepan of molten chocolate through the letterbox. More seriously, Viv later causes Tom’s car to run off the road by grabbing the steering wheel from him because she was irritated by the conversation between Tom and Morris, and, to top it all, threatens a couple of women on the street with a knife (one of which is supposedly Virginia Woolf). So it transpires that, according to an expert, Viv not only suffers frequent and irregular ‘women’s troubles’ but is also, almost absurdly, morally insane. From there the conclusion is clear. Tom – at this point legally separated from Viv – and Viv’s family conspire with her doctors to have her locked away in a mental institution. There is a brief moment when the gathering of family and doctors seem to waver a little in their conviction, but this really does last only a moment as Viv, in a truly shocking scene, lunges at them with her knife in a dramatisation of her fictional murder of Woolf. Shortly afterwards she is dragged away by doctors from a public tearoom in disgrace. Tom and Viv is an interesting and probably pretty accurate portrayal of the marriage of two people who barely knew one another and the cracks and eventual breakdown that result from it. It’s also, at times, a bit of a slog, as Viv’s, for lack of a better word, issues, are a little overstated. Although it’s clear that Viv isn’t stable by the end of her marriage, the treatment of her and her condition did rile the feminist in me at a few points, irrespective of the period in which the film is set. Viv is, or at least was, a strong, opinionated woman and she is treated like an embarrasing child long before her behaviour becomes concerning. At one point, when Viv is ranting about why she and Tom need her inheritance, Viv’s mother suddenly grabs and crushes her in a hug as if she is out of control. In response Viv comments ‘Oh, I’m ill again am I, I know perfectly well what I’m saying.’ She’s clearly a very intelligent woman but she is coddled and seen as a burden, particularly by the men in her life. In summary, Tom and Viv is worth a watch, especially if you’re busy and want to dip in and out of a film without missing too much. Fans of T.S. Eliot will find this particularly interesting but everyone should be prepared to feel the overwhelming injustice of Viv’s treatment, reflective of the times or not. After seeing this, I am no longer a TS Eliot fan. He knew the lady’s nature, yet demonized her. Turned to religion, yet Dishonored the sanctity of marriage. Let a bit of blood stand between their love. Great poet, lousy man.